The other friend was introduced to Charlotte by Dr Nott’s replacement, the Rev. Dr William Short. Dr Short was handsome and a bit more of a dandy than most clergymen. He was always light-hearted, even though he had recently been widowed and was still receiving consoling letters and visits from members of his wife’s family. One of these was his brother-in-law, a distinguished admiral, who had been raised to the peerage as Baron Keith of Stonehaven Marischal. Lord Keith’s first wife, a Scots heiress, had died shortly after giving birth to their daughter, and that girl, now twenty-one years old, self-confident and strikingly beautiful, had inherited her mother’s enormous fortune. She was the embodiment of Jane Austen’s Emma – ‘handsome, clever and rich’. Charlotte worshipped her the moment she met her. Here at last was the companion, confidante and counsellor that the Princess had always needed. Her name was the Hon. Margaret Mercer Elphinstone. Princess Charlotte wrote frequently to her ‘dearest Miss Mercer’, and Mercer Elphinstone kept almost all the letters. In later life she resisted every demand to hand them over. The best that she was prepared to do was to destroy those that were ‘upon particular subjects’. Whether she did or not can never be known. Before she died, however, she gave all the letters that were still in her possession to her daughter, who married the fourth Marquess of Lansdowne, and they remained in his family until sold in 1994. Due to Mercer’s defiance, they were never read by the contemporary royal family. But they have survived to be read by posterity , and they are a moving testament to the hopes and fears of the ill-fated Princess. The earliest letters are little more than gushing expressions of affection and eagerness for news. On the whole, the most amusing passages are the regular disparaging references to Mrs Udney. Yet even in these letters there is a sense of threat and caution. The fifteen-year-old Princess had already endured enough to know that, if she was going to be frank, she would also have to be careful. 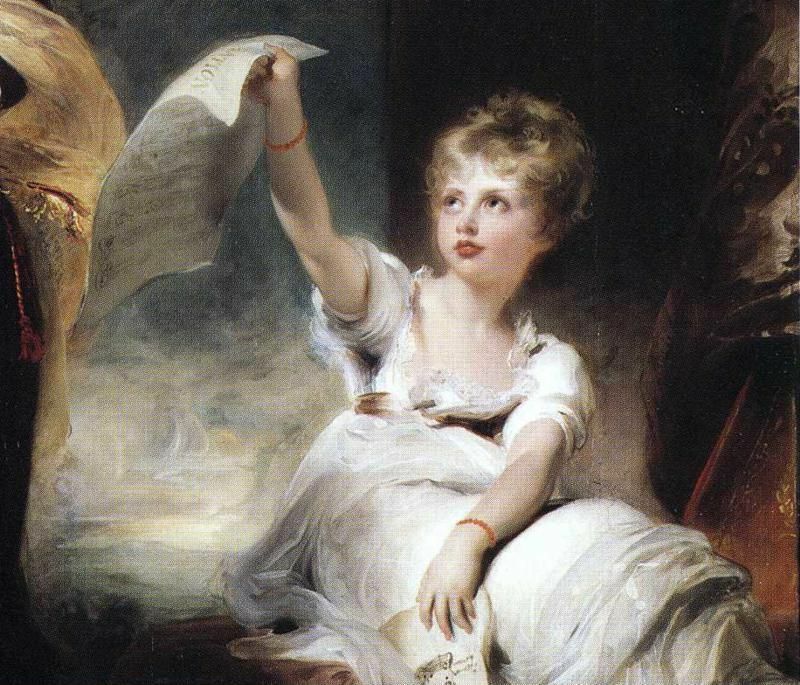 The year 1809 had deprived thirteen-year-old Charlotte of her second ‘adopted parent’. But it also brought her two new friends. The first was a real relation, her uncle William, the new Duke of Brunswick. The bluff but dignified and patient Duke was relieved to have reached London safely, and he never seemed to tire of listening to Charlotte’s lisping chatter. After the duchy had been overrun, he had assembled seven hundred exiled hussars and dressed them in black uniforms in permanent mourning for his father. With this resolute little corps, he had reconquered the duchy. But the French had returned in strength and driven him out again. Dodging the French whenever he could and fighting them when he had no choice, he had led his men westward to the coast, where a squadron of British warships was waiting to carry them to England. In the years to come the romantic Black Brunswickers were to be among Britain’s most formidable allies in the war against Napoleon. Like many military men in Europe, and like very few in clean-shaven England, the Duke had a huge moustache. Charlotte adored it. After their first meeting in Blackheath, according to George Keppel, she went back to Warwick House, painted a black moustache on her face and marched up and down in a military manner barking guttural expletives, which she hoped very much sounded like German swear words. As promised here is the guest post about Princess Charlotte by Susan Abernethy. Susan has had a lifelong interest in history since watching “The Six Wives of Henry VIII” on TV as a teenager and earned a degree history. She has been blogging about her favorite topic for several years now with a specialty in Tudor, women’s, medieval, English, French, Scottish and Anglo-Saxon history. You can read her blog at The Freelance History Writer. Today we are celebrating the 220th anniversary of the birth of Princess Charlotte Augusta of Wales. 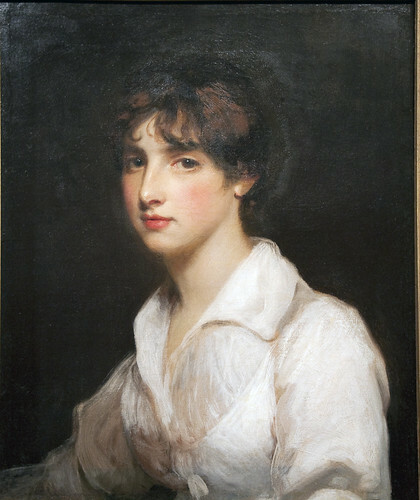 She was born at Carlton House on January 7, 1796, the only child of the calamitous marriage of King George IV, who was Prince of Wales at the time and Caroline of Brunswick. Her parents’ marriage was irreparably broken by the time she was born and this had a profound effect on her entire life and her personality. Charlotte grew up to be just above middle height with a finely proportioned and well-developed figure. Her complexion was pale with fair eyebrows and lashes, big blue eyes and a rosebud mouth. Her hair was light brown with golden highlights and full of curls. She was personally attractive and it was said she greatly resembled her father. She was boisterous and full of radiant vitality. As a girl she was described as delightful, bright, intelligent, merry and ‘pepper-hot’. Early on her mother was allowed access to her as much as she wanted. Caroline would visit often and enjoyed walking with Charlotte in her arms or riding in a carriage with her. When Charlotte was nine years old, a complete separation from her mother occurred when Caroline was accused of having an illegitimate child. Caroline’s behavior, always reckless, indiscreet and undignified became even more so, shaking Charlotte’s confidence in her. She couldn’t help but notice her mother’s conduct. She loved her mother but she didn’t respect her. She felt a lot of pressure to stand up for her mother and defend her with her father. There was a high expectation when Charlotte was born that she would be the means of reconciliation for her parents but alas it was not to be. George took only an intermittent interest in his daughter. He was fond of her but capable of being unkind. George was reluctant to acknowledge Charlotte as heir presumptive due to his alienation from his wife so she was largely brought up by governesses. Charlotte, on the other hand, respected her father but she didn’t love him. She had to be careful not to cause a breech between her parents. A divorce or annulment of their marriage would bring her legitimacy into question putting her succession to the throne in jeopardy. Charlotte’s early home was Carlton House, the London home of her father. The first of her governesses was Lady Elgin. Charlotte was very close to Lady Elgin who also acted as a go between for the Princess and her parents. Charlotte’s paternal grandfather, King George III was genuinely attached to her and offered to take custody of her in 1804. The Prince put a pivotal condition on this arrangement. Charlotte was not to have access to her mother. However, the king invited Charlotte and her mother to visit Kew. Charlotte’s father was furious and Lady Elgin felt compelled to resign. After this incident, Charlotte remained at home. 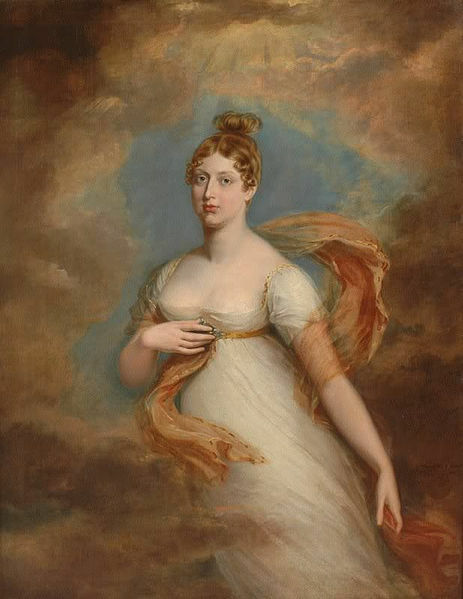 George’s mother Queen Charlotte agreed with him that Charlotte’s high spirits warranted seclusion. Queen Charlotte described her namesake as being well-informed, having uncommon good sense, being affectionate and capable of strong attachment. The Queen urged Charlotte’s father to take more interest in his daughter. The king remained in Charlotte’s life by taking an active role in the planning of her education. Lady Elgin was replaced by Lady de Clifford. Clifford was very fond of Charlotte but too good natured to discipline her forcefully. Charlotte was becoming an exuberant tomboy with a very candid manner which some found undignified. Maybe she was a little like her mother in this respect. Due to her isolation, Charlotte was lonely but it didn’t affect her native simplicity or personal charm. Lady de Clifford brought in her grandson, George Keppel as a playmate for Charlotte. In his memoirs he tells fond tales of fisticuffs and horses. In 1811, King George III succumbed to a mysterious mental illness. Charlotte was fond of her grandfather and was very saddened by this. To make matters worse, Parliament confirmed her father as Regent so he could conduct government business in his father’s place. Unfortunately, this created an estrangement between Charlotte and her father. She became even more isolated with visitors curtailed and her correspondence greatly limited. She was only allowed to visit her mother once every fortnight. By 1812, Charlotte was enormously popular with the public. Whenever she made a rare public appearance, the crowds went wild, making her father exceedingly jealous. In December of 1813, George arranged a marriage for Charlotte and she was engaged to William, Prince of Orange. But when she realized she would have to move to Holland after the marriage, she adamantly refused to marry him, personally calling off the engagement. She wanted to remain in England to stay among and endear herself to her people. Her sense of duty was very strong. When it became known to her father she had cancelled his plan to marry her to William, he spitefully dismissed all in her household. Lady de Clifford, to whom she was very close, was gone and replaced by a lady of the bedchamber, Miss Cornelia Knight. Angrily, Charlotte left the house and took a hackney cab, fleeing to her mother’s house. But Caroline was in no mood for Charlotte’s drama and all of Charlotte’s supporters, in addition to her mother, convinced her to return home. Charlotte was moved to Cranbourne Lodge in Windsor Forest where she was now kept under the strictest regimen yet. The only visitor allowed to see her was her grandmother Queen Charlotte and then only once a week. Charlotte’s mother left England shortly after this, relieving some of the pressure on her to defend her. She was never to see her mother again but it made her relationship with her father easier. At Christmas 1814, Charlotte and her father had dinner and reconciled. In the spring of 1816, a handsome new suitor appeared on the scene, Prince Leopold of Saxe-Coburg. Charlotte was considering the match and her father agreed. George invited Leopold to visit Brighton to be interviewed. George was very impressed with Leopold. Charlotte accepted his proposal and on March 14, 1816, the marriage was announced in the House of Commons to great acclaim. Charlotte and Leopold were married in the Crimson Drawing Room on May 2, 1816. Charlotte was heard giggling when the impoverished Leopold promised to endow her with all his worldly goods. After they were married, they spent time between their country residence at Claremont and a London residence at Marlborough House. The couple were very much in love and lived blissfully. Charlotte began wearing simple and tasteful clothes. She became much calmer and more in control of herself at the urging of Leopold. They preferred to live quietly. Charlotte soon became pregnant and awaited the birth of her child. In November of 1817, after a long and painful ordeal, Charlotte gave birth to a stillborn son and died a few hours later. The public was inconsolable over her death. Despite her difficult childhood, Charlotte had remained high-spirited, impulsive and warm hearted. Everyone looked upon her fondly. She was cheered and welcomed affectionately whenever she made a public appearance. The crowds loved her and considered her their future Queen. When she died, their hopes for the succession were destroyed. Today is the 220th anniversary of Princess Charlotte’s birth. As always on this occasion let me quote the letter which the baby’s father, the Prince of Wales, sent to his mother Queen Charlotte. Personally I would like to wish Princess Charlotte a new biography as a birthday present, I think she deserves it. We are celebrating the event on FB and you can expect a guest post by Susan Abernethy from The Freelance History Writer really soon. Princess Charlotte was now totally dependent upon her father: as Regent he was virtually Sovereign, and her future was in his hands. She was aware of this, but she knew too that she was Heiress Presumptive to the Throne, and backed by this knowledge she tried to assert herself, writing with a rather touching anxiety to please but an uncertainty of her reception. The Regent had strong reasons for denying her, though they may not have been good. He wished to keep her as a child, tucked away safely at Warwick House or the Lower Lodge, Windsor; he did not, at present, relish the idea of his daughter appearing in public and stealing his thunder. 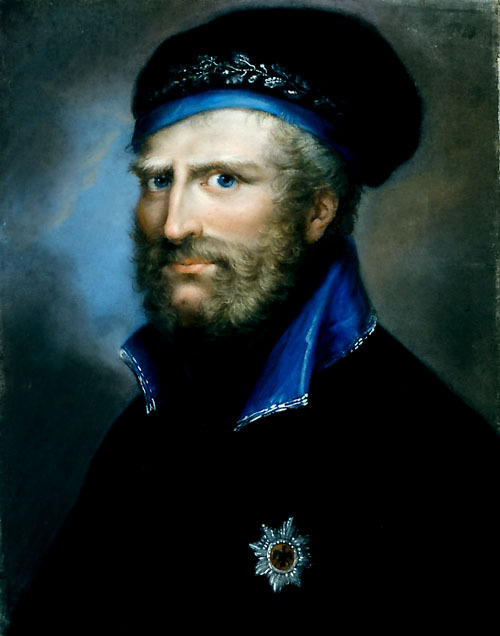 As Regent, he desired to build up his popularity and establish himself as a charming, cultured and dignified figure. He could not see that the presence of his daughter – a constant reminder of his wretched marriage – would enhance that image. Thank you everyone for visiting this blog and the FB page! You might have noticed that on Jan 7th we are celebrating Charlotte’s birthday. Join the event, I can already promise you some surprises.